Despite company efforts to remain compliant with state unclaimed property requirements, many have been blindsided by a relatively new phenomenon being pursued by the states related to liabilities presumed to be released through bankruptcy proceedings. The decision to file bankruptcy is one of the most difficult decisions corporate executives have to make, as it can stain the company’s reputation with vendors, employees and peers in the business community. Failure to recognize the release of liabilities addressed via the bankruptcy proceedings increases this strain. Companies that file for Chapter 11 Bankruptcy (“Reorganization”) are required to reach out to all creditors in order to fulfill the judicial requirements allowing for the release or reorganization of debts. Upon completion of the notification process, and elapsing of creditor response timelines set by the bankruptcy court, bankruptcy terms are normally granted and the business entity is allowed to move forward anticipating a brighter future, free of overwhelming obligations amassed prior to the filing. Unbeknownst to these companies, there could remain an obligation to identify and escheat liabilities that had met statutory dormancy requirements prior to the filing of the bankruptcy petition if due diligence and adherence to state unclaimed property laws aren’t followed. Prior to the more recent pursuit of properties that were released through the bankruptcy proceedings, the understanding was that post-emergence from Chapter 11 Bankruptcy (“Reorganization”), creditor obligations were revised in good faith to allow the business to continue to operate as a going concern. As a result of states pursuing “released” obligations post-bankruptcy via third party audit, many holders, specifically those in the oil and gas arena, have been assessed millions of dollars in penalty and interest due to “non-compliance” with State Unclaimed Property Law prior to the petition date. A general understanding of the United States Bankruptcy Code and the Federal Rules of Bankruptcy Procedure states that state unclaimed property laws are preempted in the event of a previously filed bankruptcy. This premise continues to hold true for properties that have not reached dormancy prior to the petition date, but has been successfully challenged by the states in regards to properties that were deemed to be reportable properties due to the states as of the date of the petition. The court decision rendered via State of Arkansas, et al. v. Federated Department Stores, held that in order for the state to be recognized as a creditor, it had to have a claim that arose at the time of or before the order of relief. As such, the state would qualify as a creditor for those properties that were already presumed abandoned under state law as of the date of the petition, but failed to qualify for those properties that were not outstanding for the period of time defined by the state unclaimed property laws. Furthermore, as a creditor, the State inherits the rights of the original payee, and must be notified in accordance with the standard bankruptcy provisions. As unclaimed property remains either low priority or nonexistent in bankruptcy orchestrations, most companies overlook the responsibility to recognize the states as a potential creditor and fail to include them within the population of creditors contacted during the bankruptcy proceedings. This oversight may result in the risk of assessment due to audit for years to come after post-emergence. Companies whom have filed bankruptcy or have acquired entities whom have reorganized in the past should recognize this scenario as a material risk to their organization. Unclaimed property obligations inherited in bankruptcy may not expressly be covered in purchase or sales agreements (“PSA”) or other similar correspondence. The State’s unclaimed property auditors are tasked with carefully reviewing PSA agreements or other correspondence in their pursuit to ensure compliance with State Unclaimed Property Law. Company A acquired Company B through stock acquisition. Company A was unaware of Company B’s past due unclaimed property obligations and filing history. Company A received Unclaimed Property Audit notices from multiple States two years after the acquisition. During the course of the examination, the auditor identified material amounts of property of which the Company B did not report prior to the acquisition. As the inheritor of Company B’s obligations, Company A was held liable for properties that met prescription prior to the bankruptcy petition date, and was subjected to material interest and penalty assessment(s) by various States participating in the examination. Company C filed bankruptcy in January 2010, and emerged in late 2010. The company followed the guidelines of the Federal Bankruptcy law in its efforts to identify obligations and notify creditors of the filing. Company C was undergoing an unclaimed property examination prior to the petition date, and the examination was stayed until after bankruptcy procedures were completed. Creditor obligations, including those that were due to be escheated prior to the petition date, were released per the bankruptcy ruling. The State and its auditor identified properties that met prescription and demanded remittance of the properties, as well as interest and penalty for noncompliance. Despite following bankruptcy rules and conducting reasonable due diligence in efforts to notify creditors, Company C was legally obligated to report the past due property to the State and pay the associated interest and penalty. As a best practice, it is important for companies to take proactive measures to ensure that pre-existing unclaimed property obligations are fully researched and addressed prior to filing for bankruptcy. If an unclaimed property obligation exists at the time of petition date, companies may consider including the states within the population of creditors contacted in accordance with the bankruptcy proceedings. Companies should also fully vet companies to be acquired via a merger or acquisition to identify potential exposures related to past unclaimed property obligations so that contingencies can be established. In the event of an audit, companies should be diligent in the defense of their past activities. Procedures should include carefully researching the nature of properties released via bankruptcy to determine if they were truly reportable as of the date of petition before conceding to the state. A thorough review of purchase agreements should also be conducted with internal and external legal counsel to determine the reporting responsibilities of the acquiring company. By taking such an approach to audits, companies can protect themselves from over-inflated audit findings and reduce the amounts deemed to be reportable to the states.  Go from Bankruptcy: New Terrain in Unclaimed Property back to the Fall 2018 issue of Keanotes.